Wilson is the Tax Controversy Leader in Hong Kong, with more than 17 years of Hong Kong corporate tax advisory experiences. He provides wide spectrum of tax controversy services to conglomerates, listed companies as well as US and European-based multinational corporations. 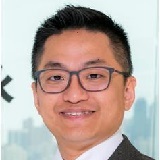 He has extensive experiences in dealing with Hong Kong tax authorities, for example assisting corporations in settling pro-longed tax disputes on contentious tax issues in Hong Kong. More recently, he advised his clients on new tax incentives scheme in Hong Kong and then assisted client to obtain an advance ruling from the Hong Kong tax authorities. His other tax experiences include group structure rationalization and restructuring, cross-border transaction planning and compliance, IPO review and restructuring. While focusing on retail and consumer product as well as real estate, hospitality and construction industry sectors, Wilson also has diverse industry experiences, including technology, entertainment, media and telecommunications sectors. Wilson regularly contributes tax technical articles to newspapers and technical journals and is a frequent speaker at tax seminars organized by various professional bodies in Hong Kong. He also serves as the Council Member of the Taxation Institute of Hong Kong from 2012/13 to 2015/16 and the member of the taxation sub-committee of the Association of Chartered Certified Accountants Hong Kong branch from 2011 onwards.